To celebrate the 40th anniversary of the release of Led Zeppelin IV, The Flood Gallery in Greenwich Market London will be staging a special exhibition running from November 17th to November 24th. The exhibition will feature eight unique original art prints with designs inspired by and representing the eight individual tracks – namely Black Dog, Rock And Roll, The Battle Of Evermore, Stairway To Heaven, Misty Mountain Hop, Four Sticks, Going To California and When The Levee Breaks. Designed by a selection of the leading American poster artists, the set of eight poster prints are being produced in a strictly limited edition run of around 200 prints each and each print will be signed and numbered by the artist. Together they will form a highly collectable set of art work celebrating the landmark 40th anniversary of Led Zeppelin’s biggest selling album. The eight unique designs will be unveiled from 8pm on the evening of Thursday 17th November at the Flood Gallery’s Greenwich Market location. A number of the artists will be available to discuss their pieces on the night. Dave Lewis and the TBL crew will also be in attendance and we look forward to seeing all that can make it along. The Flood Gallery will also be open late on the evenings of Friday November 18th and Saturday November 19th. A limited amount of the prints will be available for pre-order from www.thefloodgallery.com. Any remaining copies will be put online for sale after the exhibition. Full ordering and price details will follow shortly via the Flood Gallery website and you can also sign up to their mailing list to receive updated info. This looks fantastic! Hope to get down there to see it all in the flesh! Sure the full album set of prints will be wonderful but a little pricy if you get all of them. I think I will need to keep to the album covers which are now pinned to my kitchen wall! Having just decorated the kitchen , they add a fab touch . My boys and I have added our fav album covers and I have to say …we have great taste and they look fab. 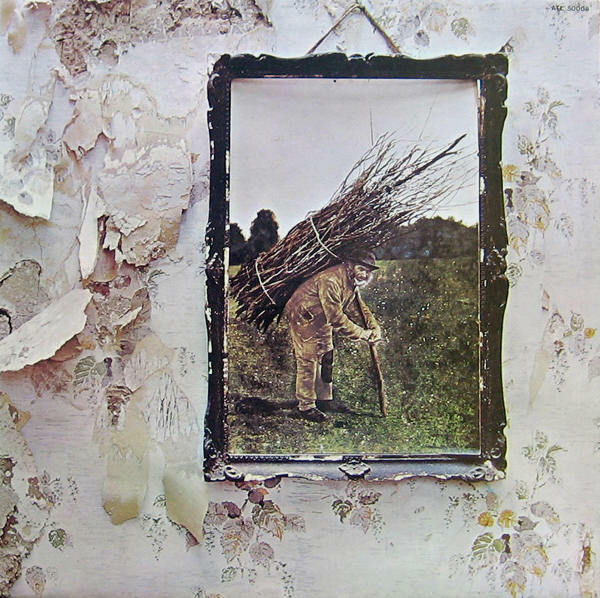 The Led Zep artwork on ALL the album covers is beautiful , my fav still … Physical Graffeti….not just for the music but the ‘face in the windows’. See you again soon , and thanks again for a great day Saturday seeing all the TBL gang. Kathy, more information now released – an event poster is £20, a full set of 8 prints is £310 and if you want to go for the framed options, it’ll be £500. Expensive time to be a Zeppelin fan! What a wonderful tribute, on the mailing list in hopes of obtaining a print. I’m sure they will sell out. On the web-site the have a couple of posters for Robert Plant and the Band of Joy that some of you may want to check out. As always Dave what would we do without you and Zeppelin.